- These lovely silver-tone suncatchers will add just the right touch of sparkle and whimsy to a room. Measuring approximately 12" tall, their faceted crystals will turn every stray sunbeam into a cheery rainbow, and colorful beads complete the picture. 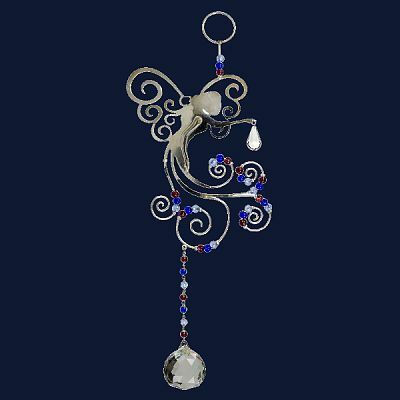 Do you have any other questions about our Fairy Crystal Wonders Suncatcher?